The 30-year-old Australian’s promoter Dean Lonergan revealed that an offer has been made to the former IBF welterweight champion via his promoter Matchroom Boxing with a working date of May in Sheffield. “I’ve got a text into Eddie at the moment, my matchmaker has an email and a phone call into Eddie, we love this fight, to have Jeff Horn fight Kell Brook,” Lonergan said to Sky Sports. The news comes the same week as Brook’s domestic rival Amir Khan 33-4 (20) is set to officially announce his fight against WBO welterweight champion Terence ‘Bud’ Crawford 34-0 (25). 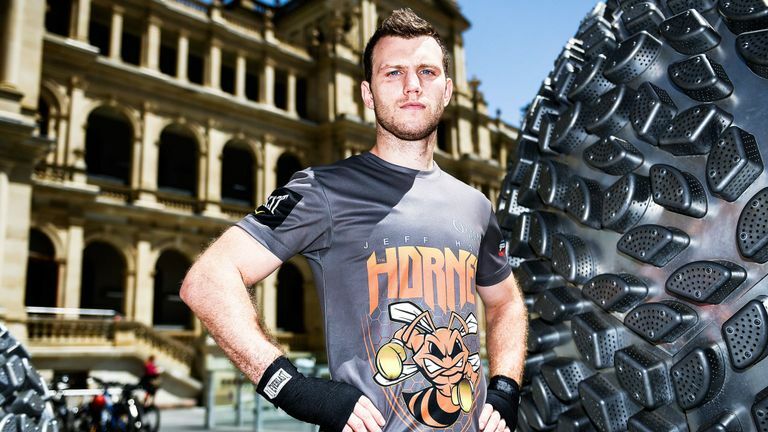 The 31-year-old American won the title with a ninth round stoppage of Horn last year. “I think that’s a really smart move,” said Lonergan. “Khan is a known quantity in America, which is why he’s getting that big payday and Khan versus Crawford will bring an enormous amount of media in the English market. “[Crawford promoter] Bob (Arum) is trying to build up Crawford into a global superstar. Taking on Khan is a really, really good move. Brook, 32, is coming off a 12-round points decision win over Australian Michael Zerafa 25-3 (14) in December in what was widely regarded as a subpar effort. “I saw a comment coming from Brook himself, saying a lot of people after seeing my performance against Michael Zerafa will come out of the woodwork.